All-Weather Floor Mats were intended to give the best possible protection for your 2008 Jeep Grand Cherokee's floor. 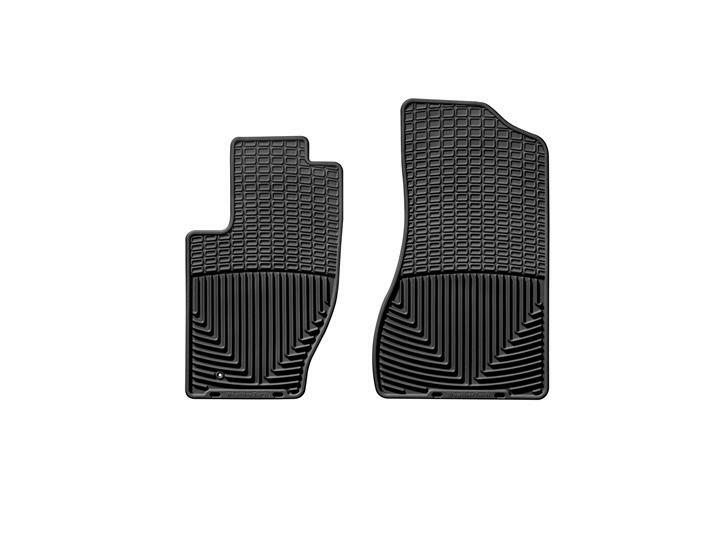 Many of our front and rear mat applications are model specific, while others are assigned as the best possible fit for your 2008 Jeep Grand Cherokee from our many shapes and sizes. Some rear mat sizes are designed to be trimmed so that they may be customized to fit almost any vehicle. I bought the front all weather floor mats as a gift for a family member. He loved them and they fit perfectly! I've loved the mats - they fit perfectly and keep my car looking sharp! Thanks for a great product! Re: 2006 Jeep Gr. Cherokee and 2008 Jeep Wrangler. The fit of my all weather mats was fair to poor. I had difficulty over the winter with mud and snow around the edges of the matts. Too much carpet is exposed. I know your floor liner product has better coverage, but a more custom fit is recommended. Thanx, Kurt. I love them! I finally have a very nice vehicle, however it does have light color carpet. I was worried about the snow and muck we have around here. I wanted to make sure that my jeep would continue looking new with little work on my part. These mats have been awesome! No longer do I worry about all the crud on my boot. Thank you!! I wanted to share with you a true test of your Floor mats, about a month a go I was helping a friend who got stuck with a dead batterywhile away from home. We removed the old battery and put it on the floor of my jeep and after about 10 minutes the battery started to leak acid, lucky for me I had my Macneil Mats on the floor under it, they held the acid from burning my carpets. When we replaced the battery I went home and put baking soda on the acid covered mats and hosed them off with NO noticable difference in color or thickness, your Mats saved my floor boards and withstood battery acid. Thanks for making a Great Product that saved my clean new looking carpets.